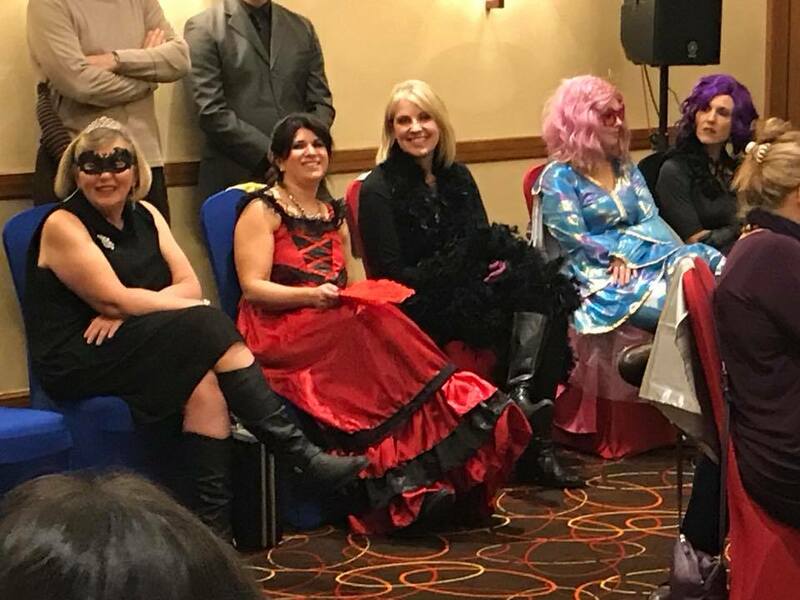 Mesa County District Attorney (and CASA of Mesa County board member) Dan Rubinstein, played the role of villain at CASA's Superhero Murder Mystery Dinner Friday, Oct. 13. 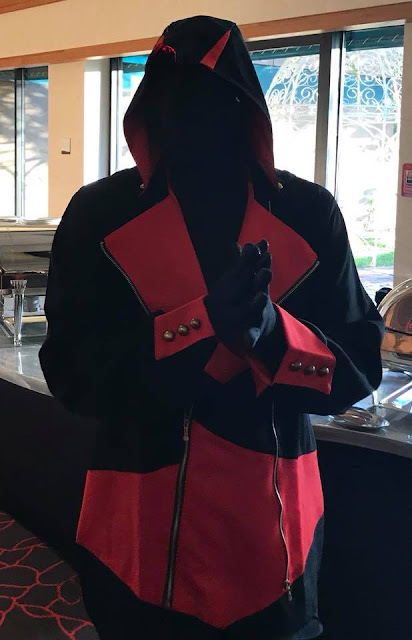 Dan played the Singing Scourge, one of the worst bad guys around. He commits a crime and defeats his enemies all while singing. 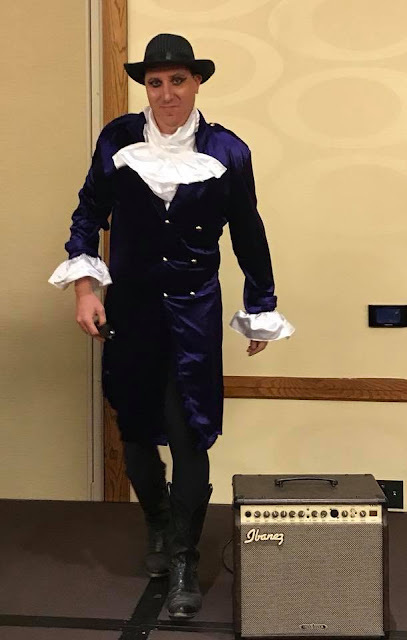 Mesa County Sheriff Matt Lewis played the role of Mysterioso, a powerful telekinetic that mostly keeps to himself, at the Superhero Murder Mystery Dinner to benefit CASA of Mesa County. Mesa County Commissioner Rose Pugliese played the role of a flamenco force, as El Bailarin, a Spanish señorita with a serious stomp and a razor-sharp fan she uses to maim her enemies all to benefit CASA of Mesa County. CASA is the only organization in the county that provides a voice in court for children and youth who have been abused. Mesa County Criminal Justice Services Department Traning Academy graduates. 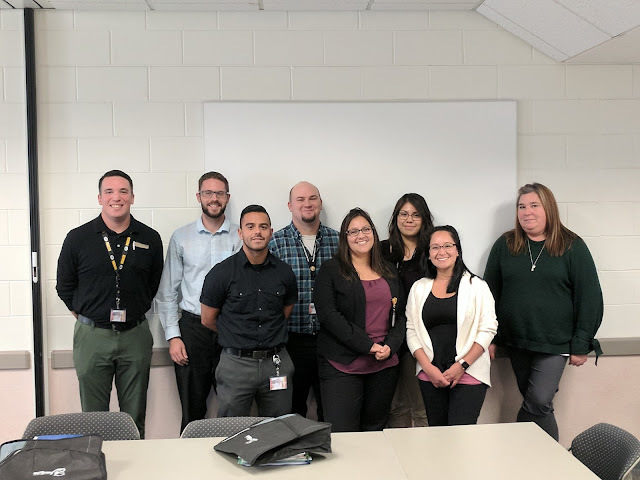 Top row: Trevor Heffnor, Scott Demarco, Tim Johnson, Liliana Barragan, Amber Spiess. Bottom row: Stephen Latta, Angelica Manjarrez, Priscila Otero.Way to go, guys! Mesa County Information Technology Customer Interaction Manager Lhana Jordan gives two young visitors a tour of the IT Department. Two five-year-old guests stopped by the old Courthouse, 544 Rood Ave., to learn about local government. They toured IT's server room and stood on the vents that help keep the room cool. Mesa County Information Technology staff members Andrew Wetzel, left, Bill Tarton and Lhana Jordan were excellent tour guides and teachers. 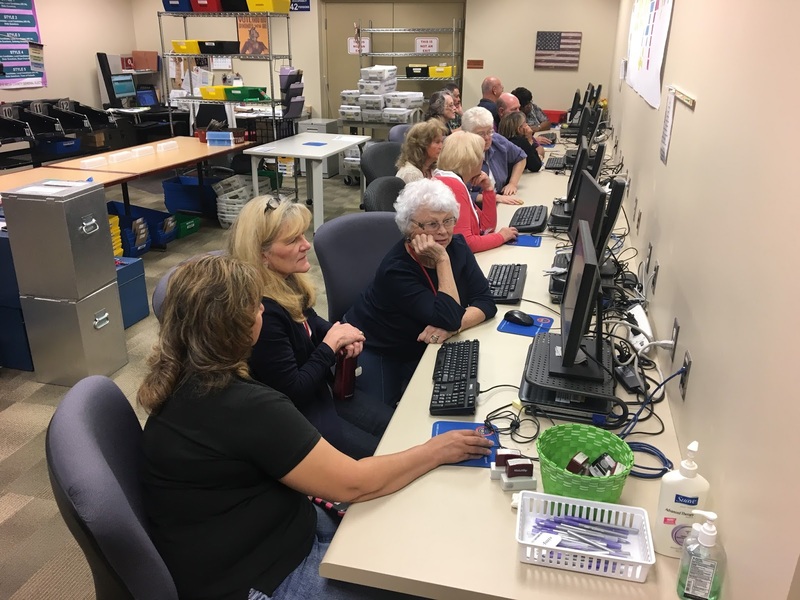 The visitors were happy and excited to learn what the functions and responsibilities of the Mesa County IT Department. Mesa County Information Technology Customer Interaction Manager Lhana Jordan shows the students old handwritten books from the 1800s and 1900s where all of the proceedings of the Board of Mesa County Commissioners were recorded. Two five-year-old guests stopped by the old Courthouse, 544 Rood Ave., to learn about local government and talk to the Mesa County Commissioners. The five-year-old students learned what a Mesa County Commissioner does. A special guest practices how to officiate a public hearing. This five-year-old is ready to be a Mesa County Commissioner! 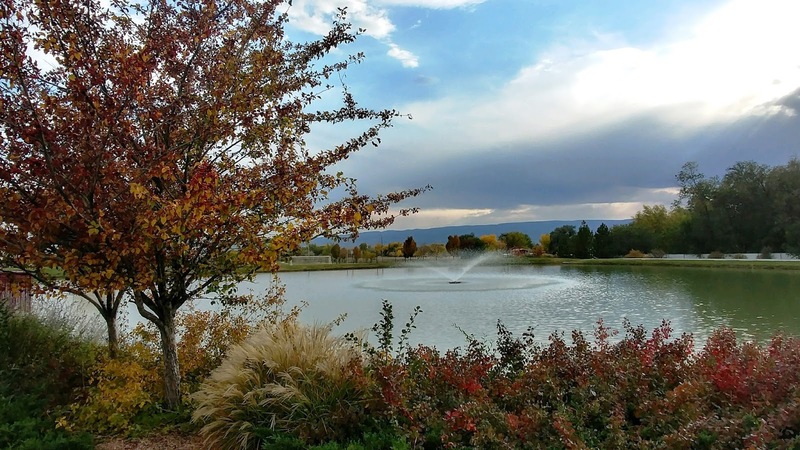 Learn to ride Grand Valley Transit (GVT) this Saturday, October 21. 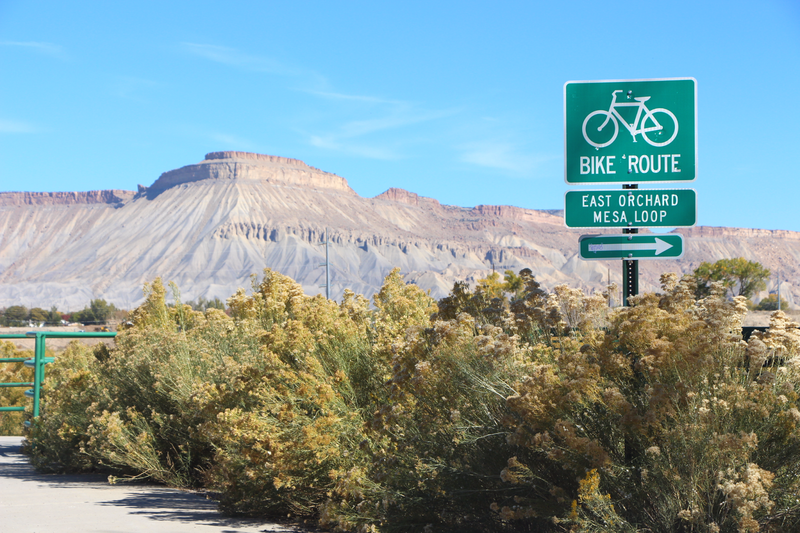 This travel training will be held from 9:30-11:30 a.m. at the Fruita Community Center. To help make trainees comfortable with GVT service, we offer a free 11-ride fixed-route pass to any individual 12 years of age and older who successfully completes the travel training program. More information is available at http://gvt.mesacounty.us/howtoride/wire.aspx?pageid=937. 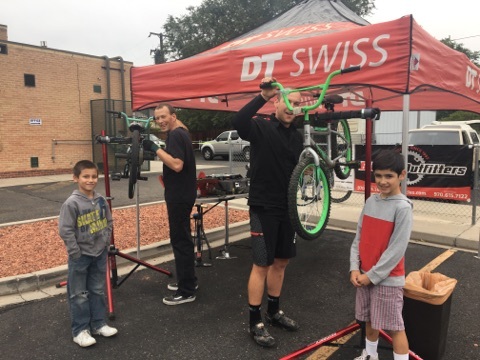 Bike shops generously donate their time and materials to schools for their bike repair event s, helping school communities prepare for Walk and Wheel Month. Riding a bike and walking to school is way more fun than riding in a car! Plus, you wake up your brain and get healthy when you exercise for your commute. October is Walk and Wheel to School Month in Mesa County. Why not try it? More information is available at https://rtpo.mesacounty.us/. Tope Elementary School celebrated their fourth annual Walk and Wheel to School Day on Wednesday, October 18. Tope students learned road-safe skills over the past two weeks to prepare for this event. The school community meets at Sherwood Park before school and walk and wheel as a group to Tope Elementary. Click here to watch to Principal's Bollinger's testimony to the importance of Safe Routes to School. Get out there! Enjoy the beautiful Mesa County views and the gorgeous weather. 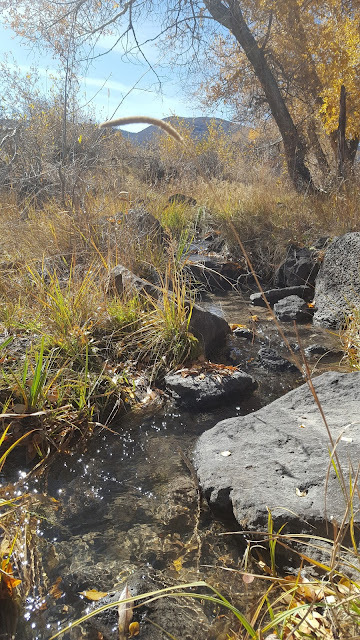 Enjoy your trails. After a cloudy day on Thursday, the sun begins to shine over Long Family Memorial Park. Pick a color, any color. Fall is beautiful in colorful Colorado. Mesa County Senior Maintenance Technician Jule Cantrell is busy raking all the leaves that have started to fall near the employee parking garage by the Old Mesa County Courthouse. Senior Maintenance Technician Jule Cantrell rakes leaves at the old Mesa County Courthouse, 544 Rood Ave.
On Wednesday, piles of leaves surrounded the old Mesa County Courthouse. Yellow leaves are falling all over the Grand Valley. 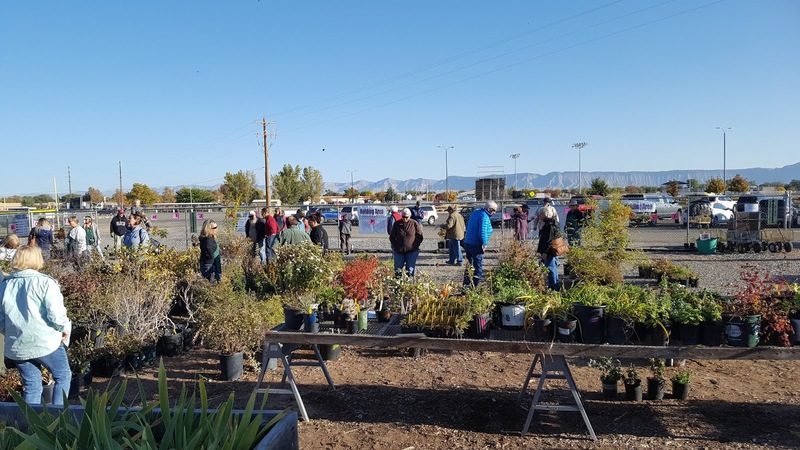 It's time to unpack your sweater and fall coats, but most importantly, help Mesa County keep fall yard waste out of the landfill. 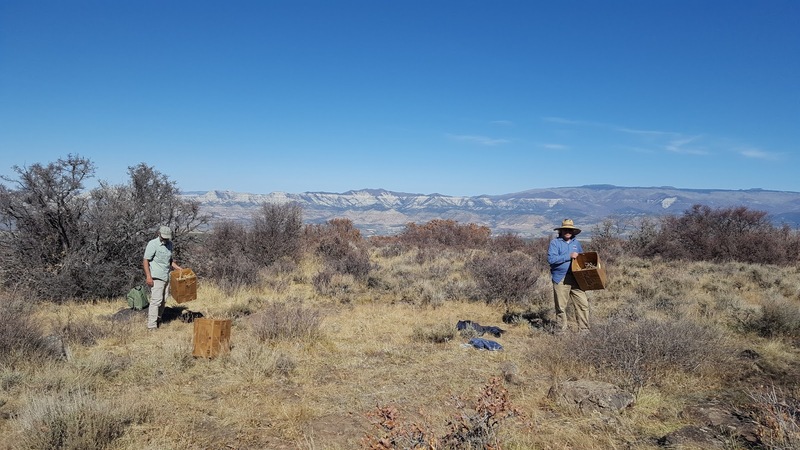 The Mesa County Organic Materials Composting Facility, 3071 Highway 50, offers an easy, free way to dispose of your yard waste. 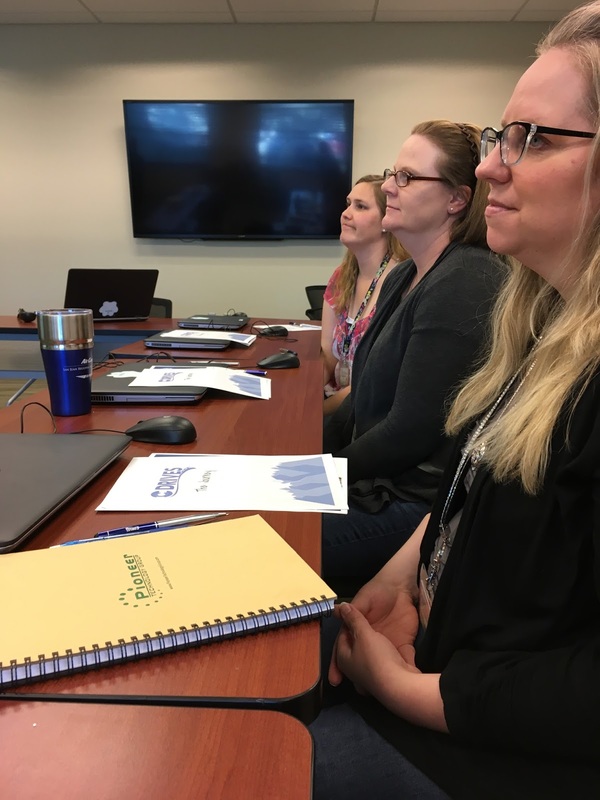 Mesa County Motor Vehicle staff members Amanda Rowley, Bonnie Maikoetter and Amanda Golightly attend a presentation on what can be anticipated from the new DMV software which will go live in August 2018! 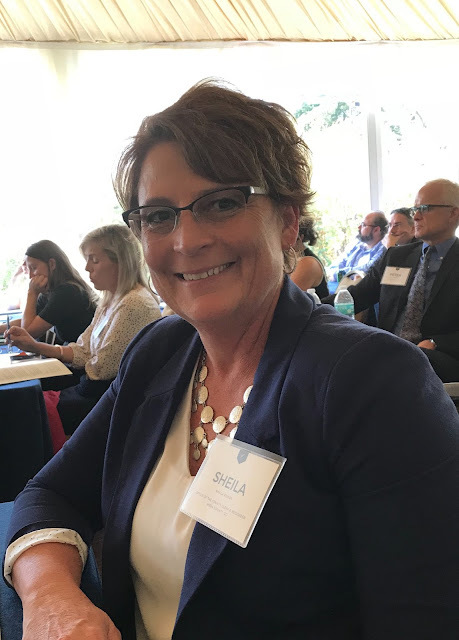 Mesa County Clerk & Recorder Sheila Reiner learns about the history of disenfranchisement and enfranchisement in the United States at the Election Center’s second biennial "Inclusion and Integrity in Election Administration" symposium at the University of Auburn in Alabama. The symposium that Mesa County Clerk & Recorder Sheila Reiner attended brought election officials together from around the country to discuss the issues facing elections, and to learn more about the government’s election process. 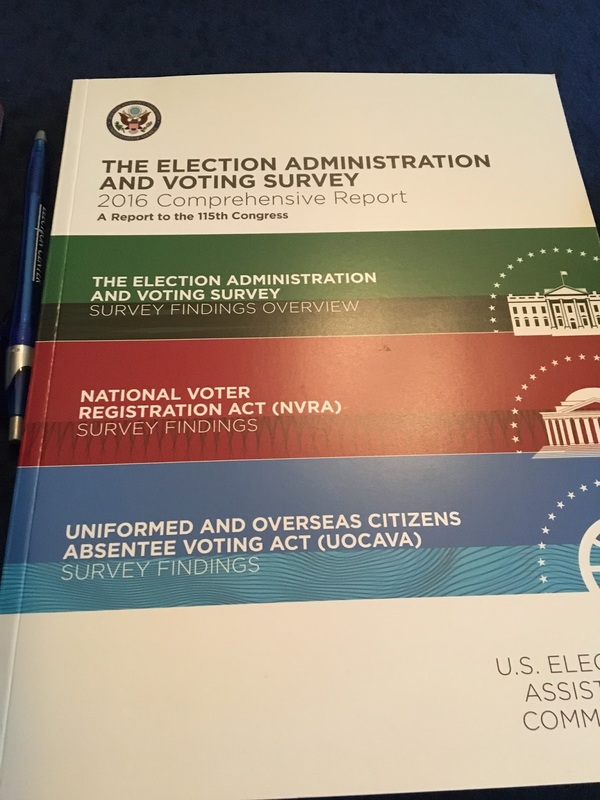 Topics included election cyber-security, voting equipment, the cost of elections, and much more. Meet Mesa County Clerk & Recorder's office team member Don Clement! Election judges verify the signatures of the returned ballots for this fall’s Coordinated Election. 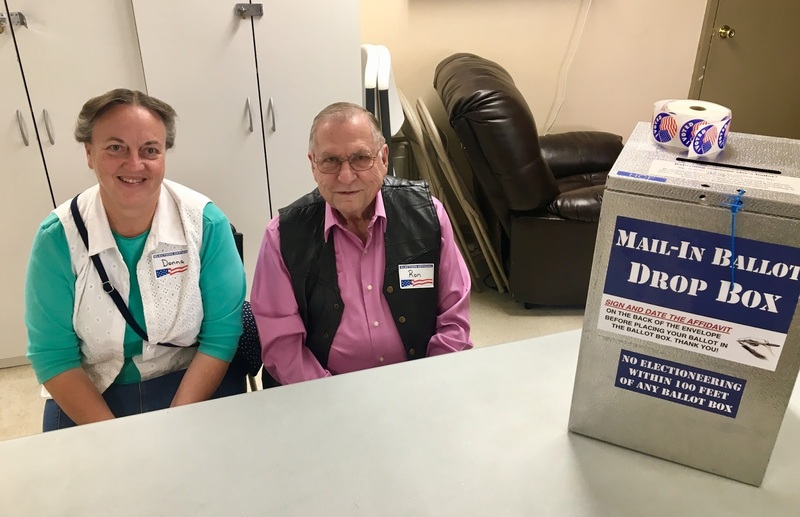 Election judges Donna Barker, left, and Ron Reynolds assisted Mesa County voters in healthcare facilities this week. 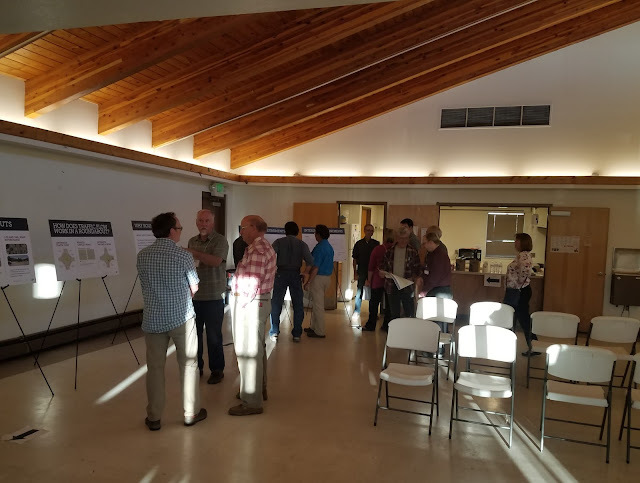 The Colorado Department of Transportation (CDOT) hosted an open house on Thursday, Oct. 12 at 5:30 p.m. at the Clifton Community Hall, 126 2nd St. to talk to Clifton residents about the US 6 Clifton project. 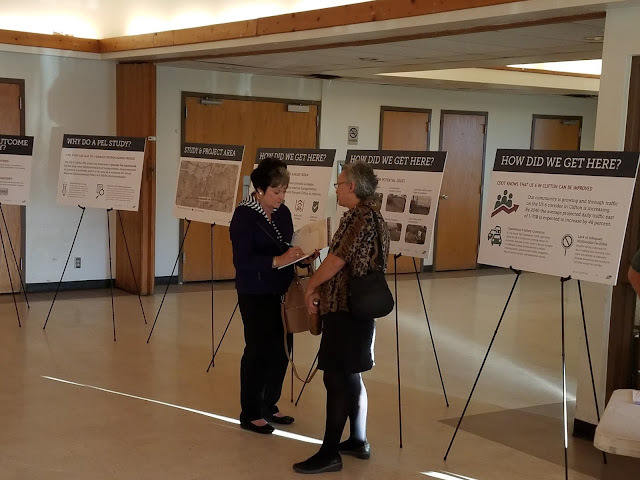 CDOT Transportation Commissioner Kathy Hall talks to a citizen about the improvements. 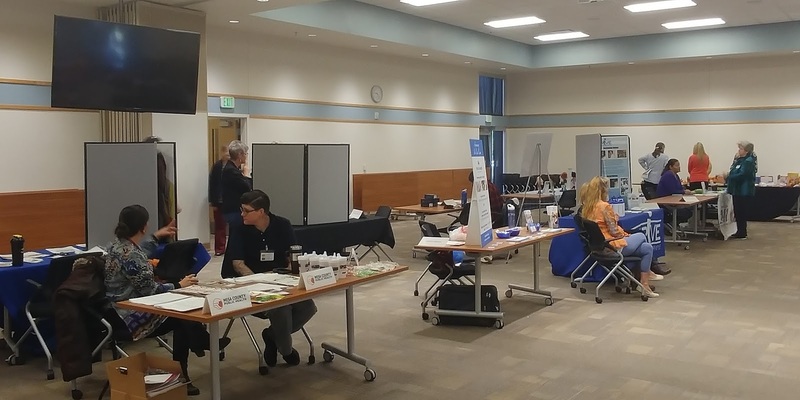 The event was hosted by CDOT with County Staff present to answer questions. 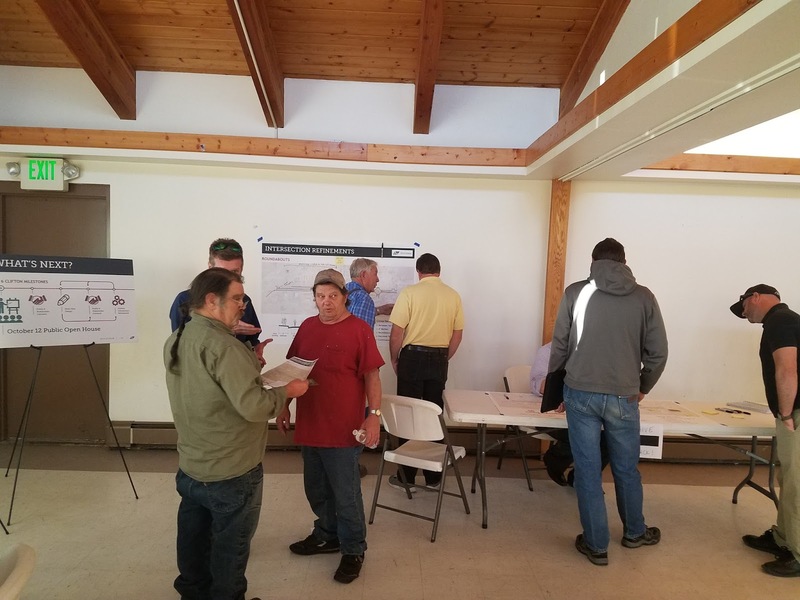 Clifton residents attend an open house hosted by CDOT to learn more about US 6 Clifton project. To learn more about the project, to go https://www.codot.gov/projects/us-6-clifton-improvements. Mesa County Animal Services was honored with The Unsung Heroes Award by Hilltop's Latimer House and Domestic Violence Services Oct. 18 for partaking in serving those impacted by domestic violence. Way to go, Animal Services! Well done. The award recognizes unique situations in which Mesa County Animal Services collaborates with LINK, a local group of volunteers working to help keep animals safe. 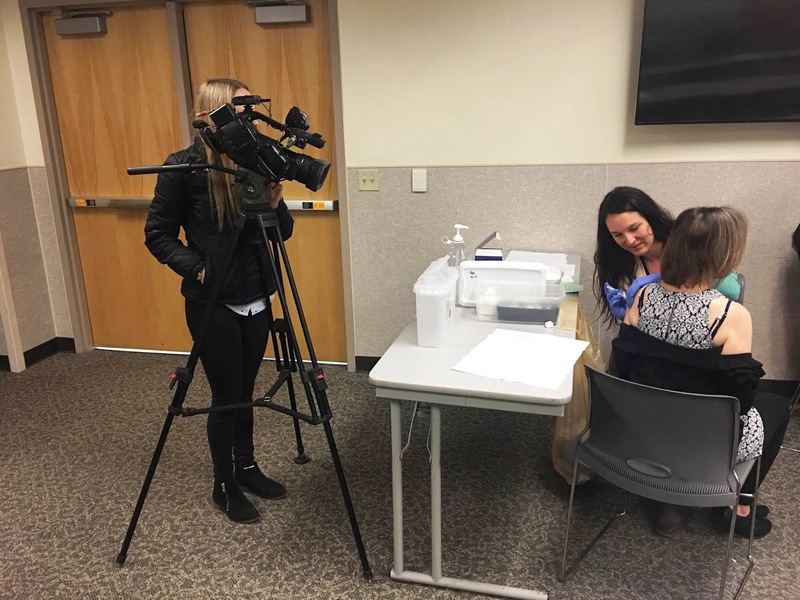 LINK refers to the connection between domestic violence and animal abuse.The volunteer organization is a sub-committee of the Mesa County Domestic Violence Task Force. Hilltop’s Latimer House and Domestic Violence Services recognized Doug Frye and the staff at Mesa County Animal Services as their first "Unsung Hero" for providing safe housing for pets in domestic violence situations Wednesday. Mesa County Executive Fair Board members along with Facilities Director Greg Linza, center, and Fairgrounds Manager Donna Redd, center right, give the commissioners a briefing on the 2017 Mesa County Fair. Mesa County Chairman of the Board of County Commissioner Scott McInnis reviews the Fair Board's documents and presentation regarding the fair. 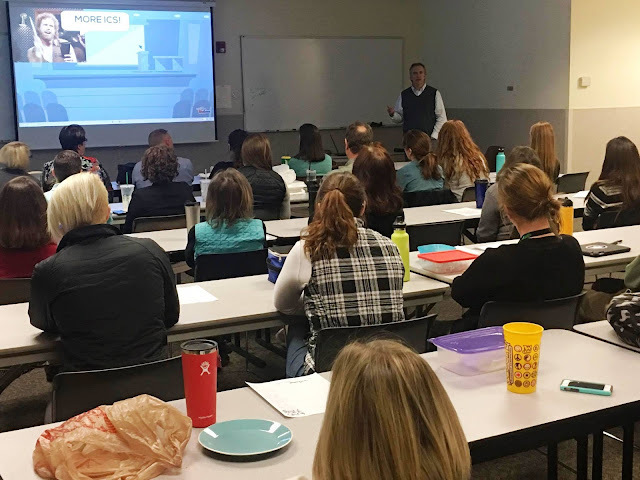 Mesa County Public Health Emergency Preparedness & Response Program Manager Greg Rajnowski gave a Lunch-N-Learn on his deployment to Florida in response to Hurricane Irma last month. MCPH staff used their lunch hour to learn about Greg's experiences. Health Inspector Sarah Schultz, left, Air Quality Specialist Melissa Salter, center, and Health Inspector Regina Clark earned credentials from the National Environmental Health Association in September. 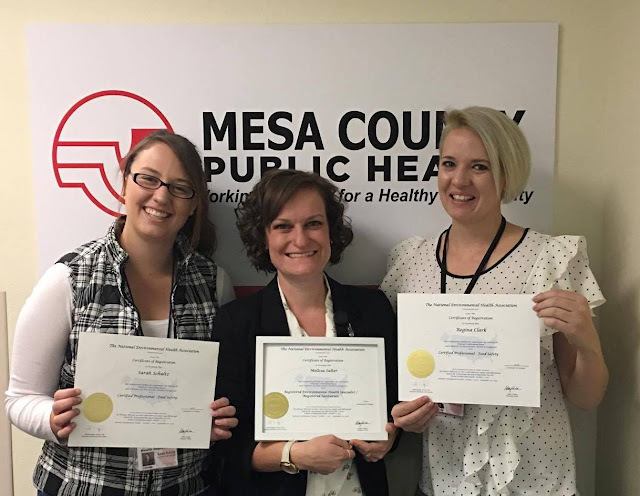 Sarah and Regina took the Certified Professional-Food Safety Exam (CP-FS) and Melissa took the Registered Environmental Health Specialist (REHS) Exam. Way to go, Sarah, Melissa and Regina! MCPH is proud to have you on the team and appreciates the extra time and effort you put in to prepare for these exams. MCPH Registered Nurse Chelsee Hepburn gives a flu shot to Mesa County resident while Stephanie Bennett with KKCO 11 News films for a story on our adult flu clinics. MCPH Information & Communication Manager Katie Goddeyne, left, and MCPH Epidemiology Program Manager Heidi Dragoo pause for a picture at KAFM Community Radio. 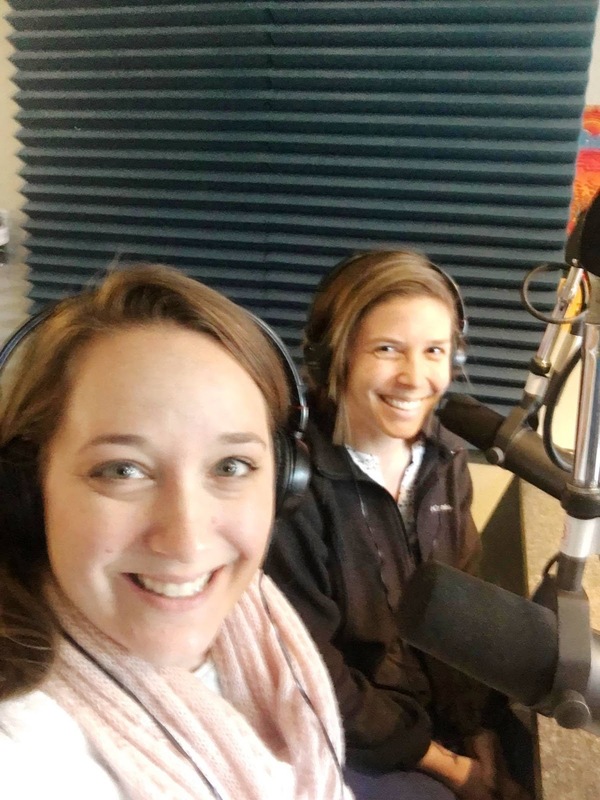 The pair were on the Boomers & Beyond show talking about the importance of flu vaccination for residents and especially our seniors. Mesa County Department of Human Services and Workforce Center sponsored the 3rd Annual Community Resource Fair at the Workforce Center, 512 29 1/2 Road. 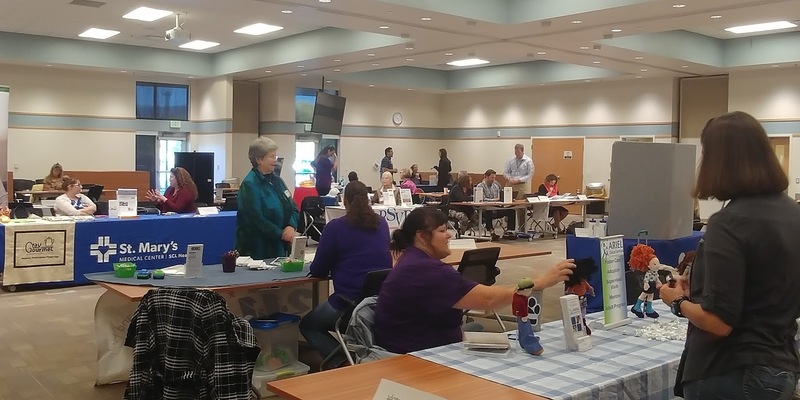 The Community Resource Fair offers Mesa County staff and community partners the opportunity to network and share resources available to Mesa County residents. DHS staff organizers Jess Marler, left, and Jane Hart greet guests. 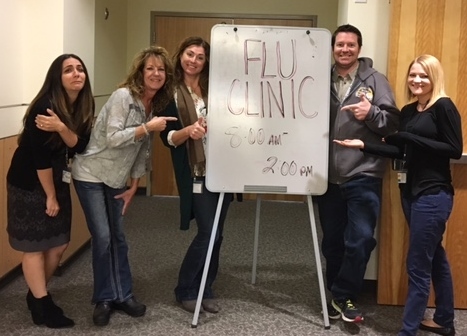 On Wednesday, the Workforce Center Colorado Works Team got a flu shot together as part of their team activity. From left to right: Lilan Madadian, Nancy Aherns, Sarah Kieran, Josh Kennedy, LeeAnna Tallman. 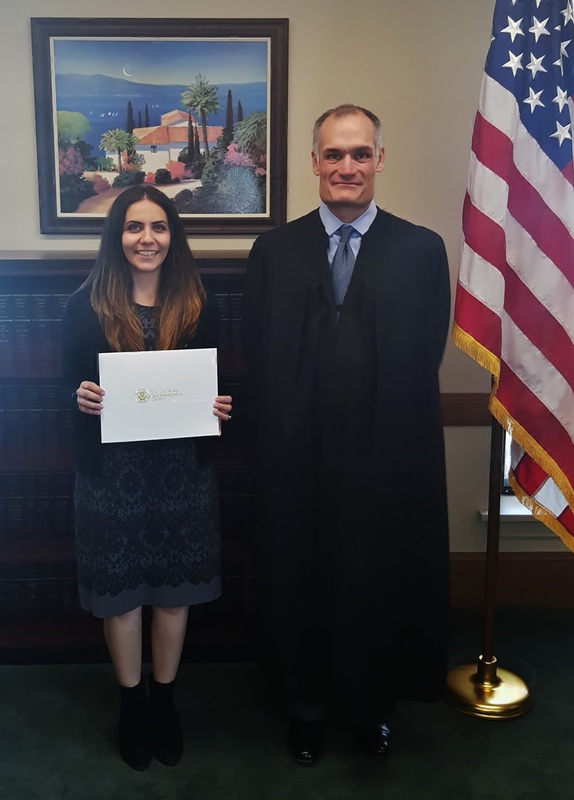 WFC Colorado Works team member, Lilan Madadian, was officially sworn in as a U.S. Citizen on Wednesday by Judge Gallagher. Congrats, Lilan! Last Friday, Mesa County Commissioner Rose Pugliese along with many Colorado counties' leaders gathered in Dever at Colorado Counties, Inc's office to discuss CCI's 2018 Policy Statement and Legislative Priorities. 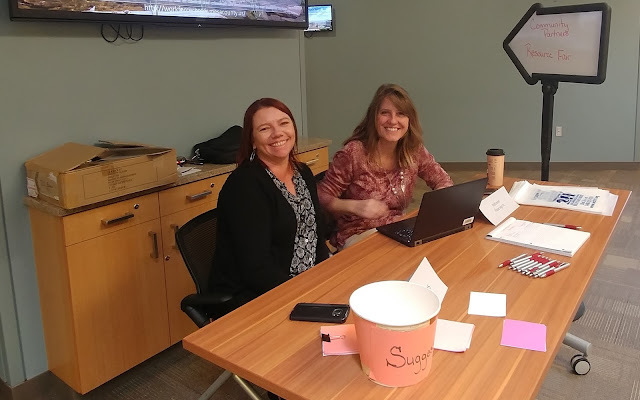 CCI is a non-profit association that brings all 64 Colorado counties together to work on shared issues, and whose purpose is to provide assistance to county commissioners and to encourage counties to work together on issues. 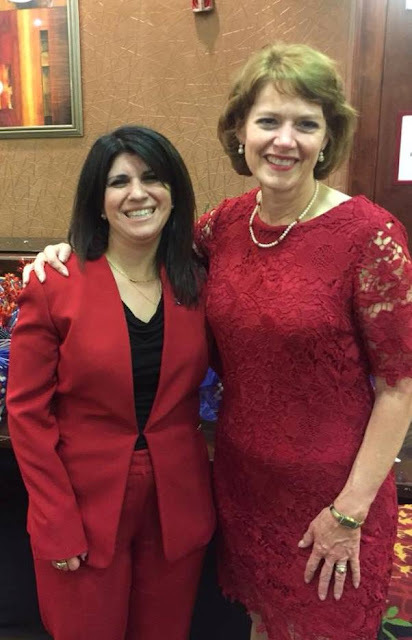 Mesa County Commissioner Rose Pugliese catches up with El Paso County Commissioner Sallie Clark in Denver. Mesa County Road Supervisor Rudy Bevan and Commissioner John Justman catch up at a Mesa County Public Work's employee appreciation breakfast. Public Works hosted an appreciation breakfast to recognize staff for a job well done this summer. Public work's services are essential for the safety and well-being of the community. Road and Bridge staff member Matthew Nichols and Construction Manager Pete Mathes. Many employees from several divisions of Public Works gather at the appreciation breakfast. Mesa County Attorney Patrick Coleman gets ready to eat breakfast. Mesa County Public Works Director Pete Baier and Solid Waste Director Barrett Jensen. 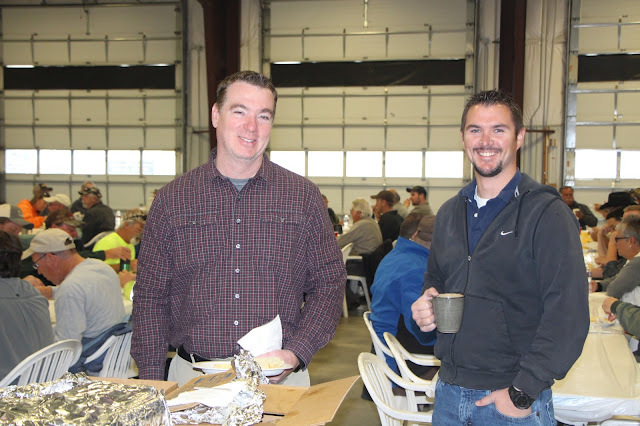 Mesa County Commissioner John Justman joins employees at the appreciation breakfast hosted by Public Works. On Thursday, Commissioner Rose Pugliese spoke at a “Women in Elected Office” panel with other women in office. From left to right: former Mesa County Commissioner Janet Rowland, University of Colorado Board of Regent Heidi Ganahl, Mesa County Commissioner Rose Pugliese, Routt County Treasurer Brita Horn and Bobbie Daniel. 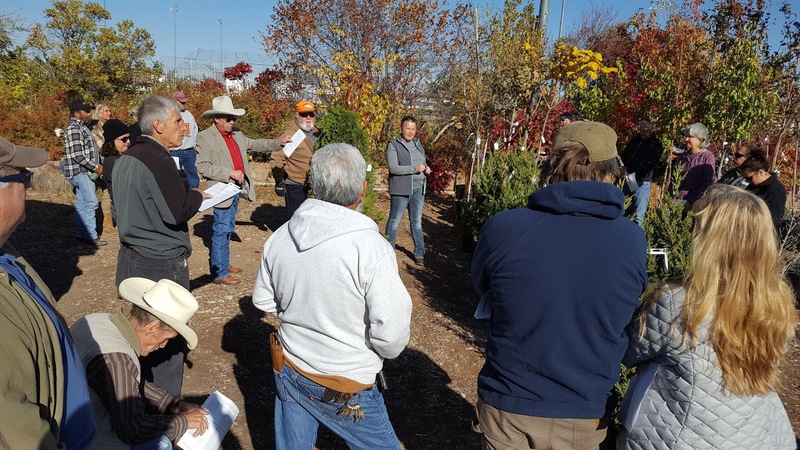 Colorado State University Extension hosted their 20th Annual Plant and Tree Auction on Saturday, Oct. 14, at Demonstration Gardens, 2775 Hwy 50. All plants at the auction were donated by the local Green Industry or grown by CSU Master Gardeners. Proceeds support the continued education of the Master Gardeners and improvements to their demonstration gardens. 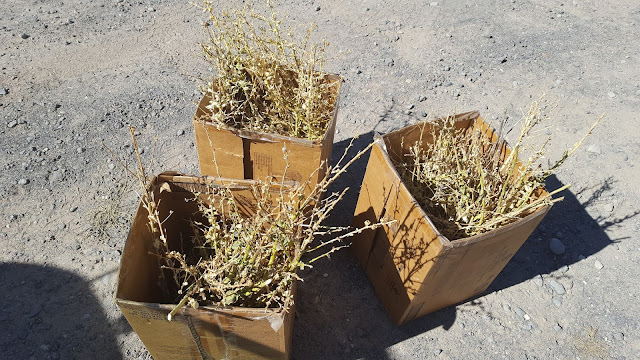 Mesa County Noxious Weed and Pest Management joined the Palisade Insectary to harvest Dalmatian toadflax above Molina in order to collect the biocontrol weevil that over-winters in the stems. Mike Racette with the Colorado Department of Agriculture Palisade Insectary and Alan Barbee with Noxious Weed and Pest Management collecting boxes of Dalmatian toadflax stems. Noxious Weed and Pest Management hiked above Molina to collect the bugs. 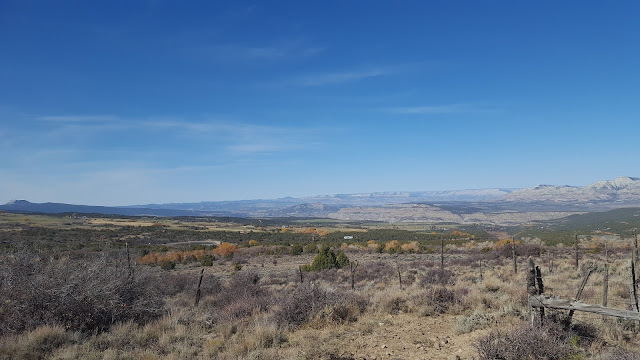 Gorgeous views from above Molina. 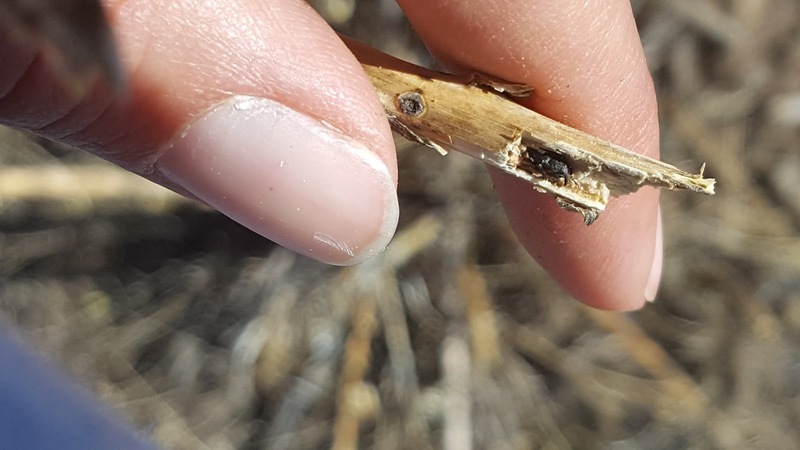 This week Mesa County Solid Waste Management hosted a few tours for Mesa County students to learn more about composting, recycling, and how waste is processed at the landfill. Mesa County Solid Waste Operations Manager Amber Swasey gives students an in-depth presentation and tour about the functions and responsibilities of managing a waste operation. 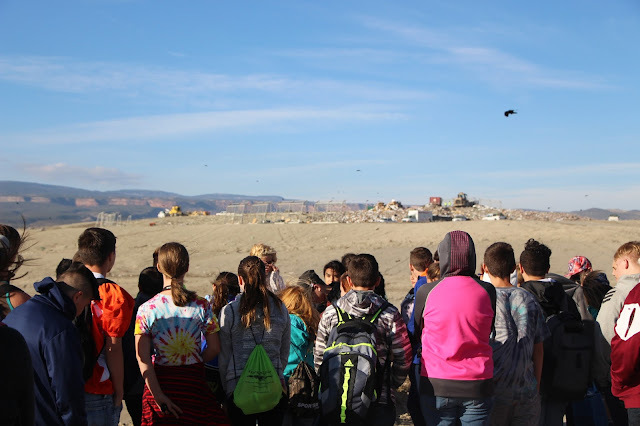 Mesa County Solid Waste Operations Manager Amber Swasey shares with students that Mesa County Landfill receives approximately 600 tons of waste daily. Mesa County Animal Services Director Doug Frye hard at work at the temporary Animal Services office trailer. Concrete pads are being poured on the south side of the Animal Services facility this week. Construction progress continues at the Mesa County Animal Services Facility. Mesa County Animal Services Director Doug Frye explains that the new facility has a crawl space and new vents to keep the moisture out of the ground. New drains and epoxy floors at the Animal Services Facility.